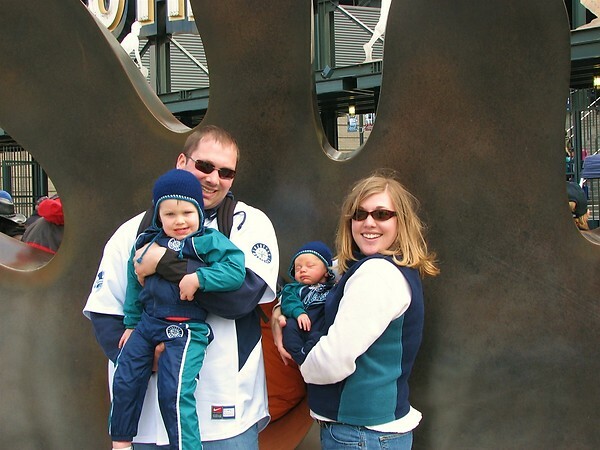 We have a family tradition of going to Opening Day for the Seattle Mariners. We’ve gone every year since Tate was 8 months old. 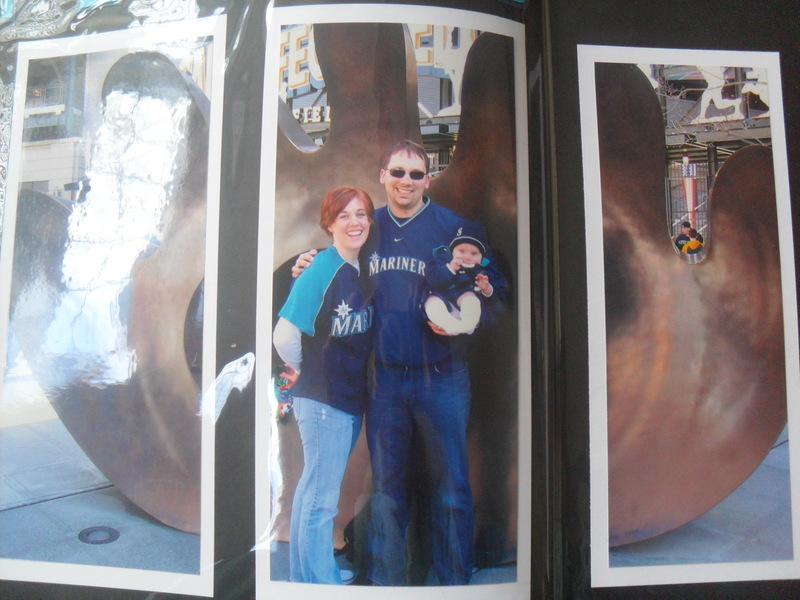 We have our family picture taken at the same place every year. 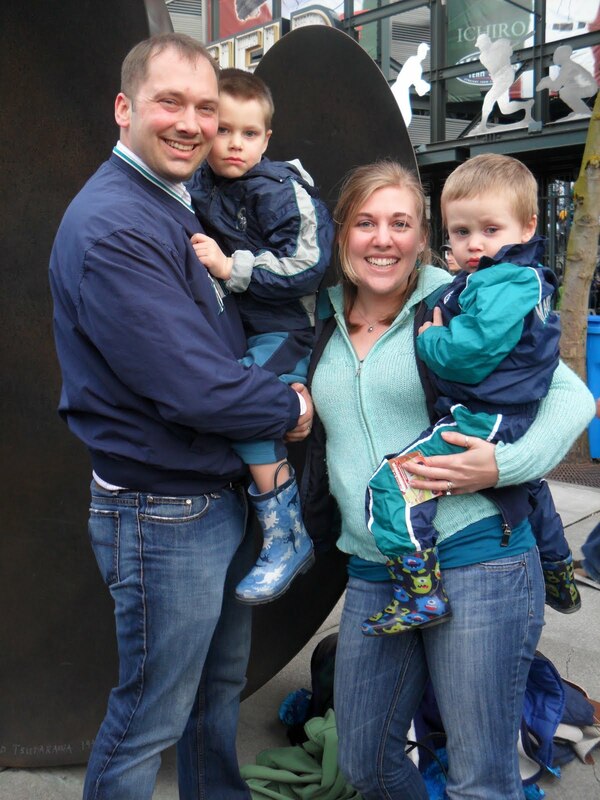 This year will likely be our last year in Seattle, celebrating this family holiday. It was difficult to justify tickets to Opening Day on our unemployment budget, but we decided that we need to go and say goodbye. 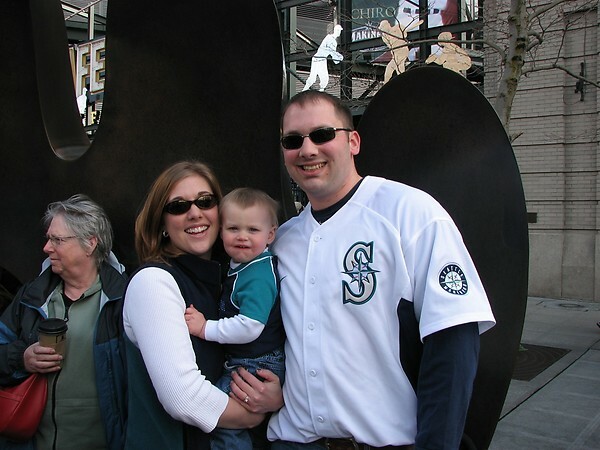 We need to enjoy Opening Day for what it is, a wonderful family tradition for us. We aren’t sure how we’ll commemorate it next year, but I’m sure we’ll find a way to make it special. Yeah, I know my hair is different in every single one…I take my stress out on my hair. I look at the pictures and remember so much. That first picture was taken 3 days before Mark left for Iraq for 7 months [hence the red hair]. 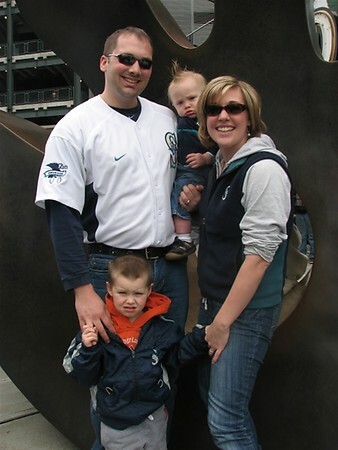 In 2008 he’d only been home for a few months and we were anticipating adding to our family through adoption. In fact, that day we were waiting on a call back about a possible match. 2009 brought the birth of Theo! We were surprised by his arrival, but felt so blessed. We left for our first trip to Nicaragua (as a family) a couple of weeks after that picture was taken. In 2010 we were gearing up for what was going to be a busy year, Mark was leaving for Korea with his work, and I would head to Nicaragua and meet up with him in Korea after he had settled in. 2011 brought the answer that changed our lives! Shortly after Opening Day we got the official GO to start planning for full time ministry in Nicaragua. It seems like Opening Day is one of those times that we can forget all of the crazy going on around us and really enjoy being together as a family. I am really looking forward to that tomorrow! This entry was posted in Moving, Preparation to leave, The Back story. Bookmark the permalink.